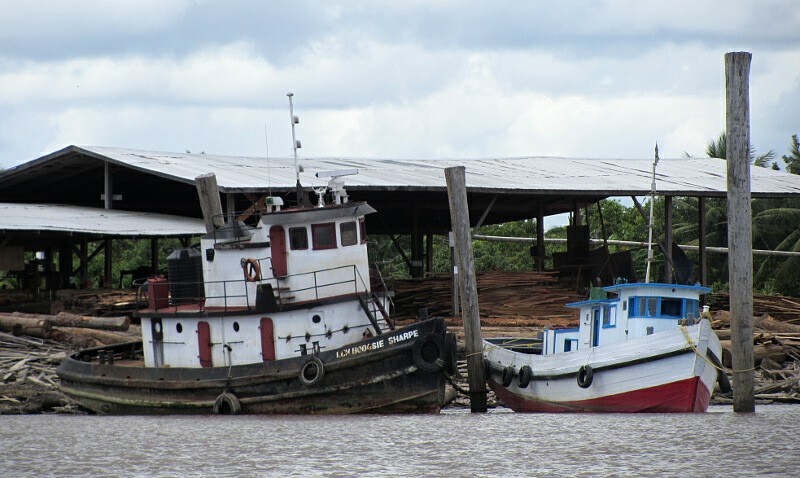 I sailed to Guyana and didn’t see a single pirate! Well what do you know, it’s evidently no more than a wild rumour… No pirates waiting to pounce on unsuspecting single handed yachtsmen in Guyanese waters after all. What I found instead was a unique cruising destination full of rather pleasant surprises. More like sticks than pylons! While the approach can be a bit of an obstacle course (weaving between fisherman’s gill nets), and there is a rather odd path (marked by an plethora of timber pylons), over the sandbank at the mouth of the Essequibo (at least 2.5m at low tide, I know because I anchored on it for several hours to wait for the tide). 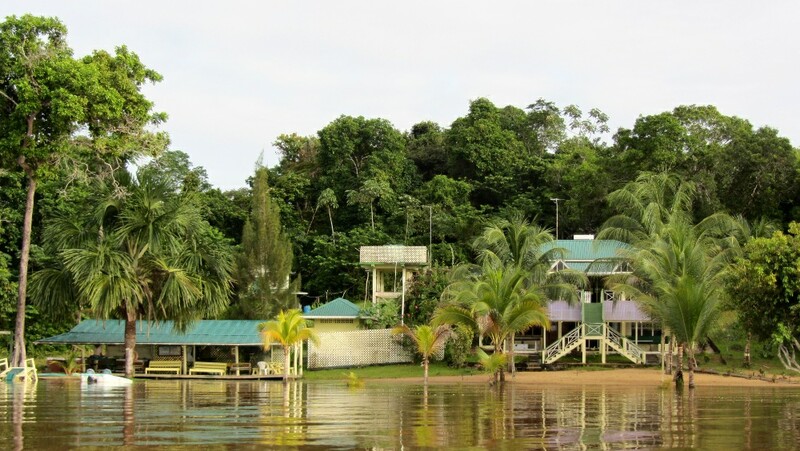 First impressions as I ambled along the Essequibo River were positive. What an abundance of activity. Plying their way in both directions were vessels of all shape, manner and kind. Such a contrast to French Guiana where besides the ubiquitous pirogue, you’re lucky to see one cargo vessel a month make its way along the Maroni. 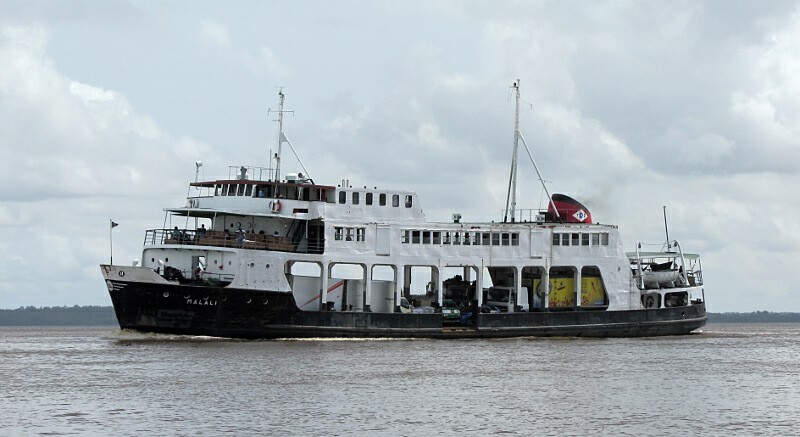 The slow Parika to Bartica ferry. Even Eileen was faster! The entrepreneurial spirit is apparently alive and well here, as evidenced by the abundant activity. Cargo ships galore, timber mills, fuel depots, fast shuttle services. Makes me wonder where all these busy people happen to be going? Wherever it is, it’s at high speed. Once again, I must tip my proverbial hat to the nations shipwrights! Despite the odd insistence on high prow banana shaped vessels, the Guyanese have devised a unique solution to the aforementioned visibility problem. Check out were the driver sits on these beauties. 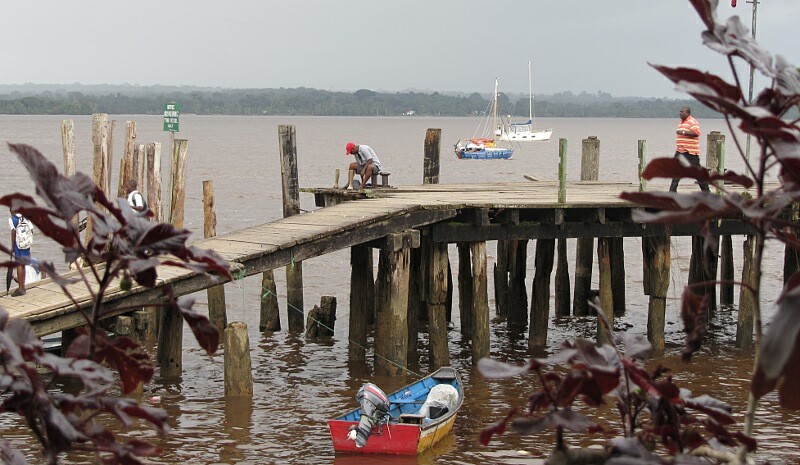 Admittedly it’s a long way up the Essequibo to Bartica, so Chris Doyle’s cruising guide suggests Roeden Rust Marina as the logical stopover. I concur, even if there is nothing (in the way of signs) to indicate you are in the right place. Supposedly I could have taken on fuel here but as I’d not cleared customs, I wonder about the legality of conducting such a transaction. Nobody at Roeden Rust answered the phone numbers provided in my guide. Perhaps they have changed. I understand that Chris is about to release a new edition of his guide so perhaps armed thus, you will have better luck that I did. A correction worth noting in the 3rdEdition (page 234) is position GUK02 (GUYK02 in the image).It should read 58º35.730′ W rather than 58º36.730′ W.
Mind you, it’s rather obvious something is amiss when you map the coordinates. Hurakabra is a small resort offering clients fine accommodation in a wilderness setting. The staff are friendly, knowledgeable and efficient, so I couldn’t have fallen in with a better crowd. To yachtsmen, the resort offers a secure location for leaving your boat, experienced guides, and of course the all important bar and restaurant. 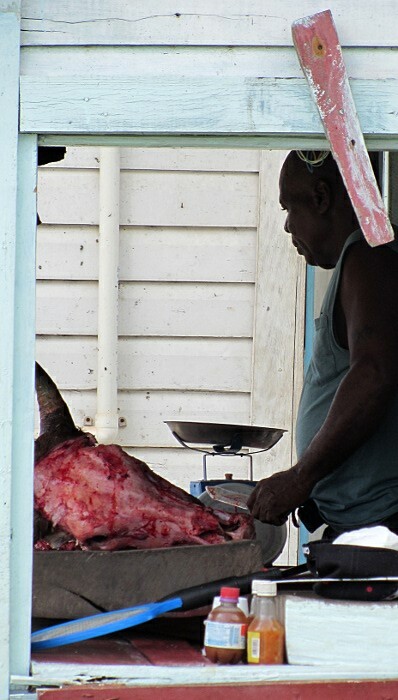 While I made use of the first three, I chose to take my meals while provisioning in nearby Bartica. 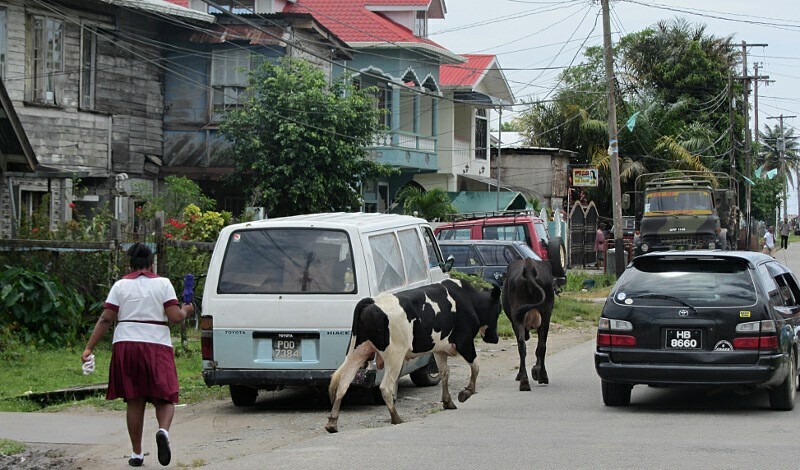 Ah, Bartica, what a place! And I thought Saint Laurent du Maroni was the wild west! Bartica services the burgeoning gold mining industry here, so not surprisingly prices are relatively high, but if you want to see what a frontier town looks like, you need go no further. I revelled in the raw abrasiveness of the place. It permeated authenticity. No prettily painted Disneyland fruit stalls to appease the tourist psyche, just functionally brute reality. By the way, where were the other tourists?… Surely this is a must see destination for cruisers? Well, apart from this simpatico couple from (if I remember correctly) Belize and Honduras (they make Guyana their regular stopover during the hurricane season), I couldn’t find any. Yachts visit so infrequently that the entire customs office staff were keen to pay Eileen a visit. Just out of genuine curiosity!!! There is much I didn’t get to see and do, so I’m eager to return. 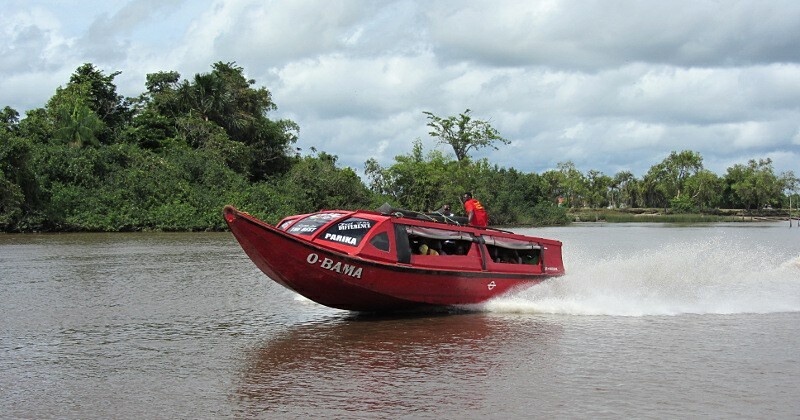 Guyana offers the delightful antithesis to Caribbean cruising. Definitely worth a visit especially before, (or even after) I go and build a huge marina complex there too! 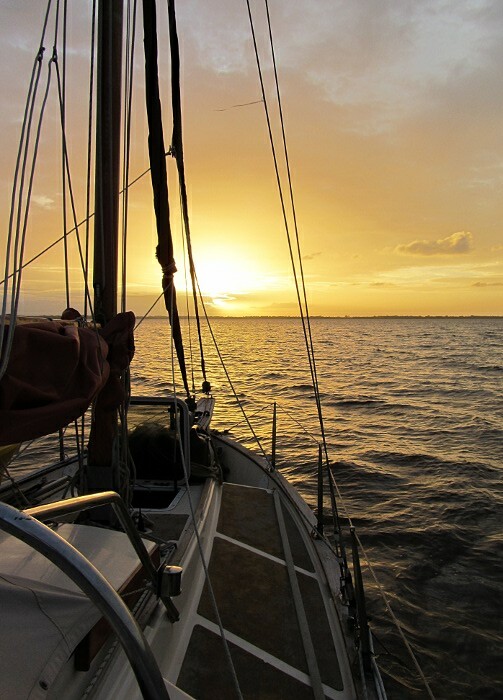 This entry was posted in Guyana and tagged Bartica, Chris Doyle, cruising guide, Essequibo, gps coordinates, Guyana, Hurakabra Resort, Parika, photos, pirates, Roeden Rust, sailing to Guyana, track by admin. Bookmark the permalink. That shirt is fast becoming my favorite! 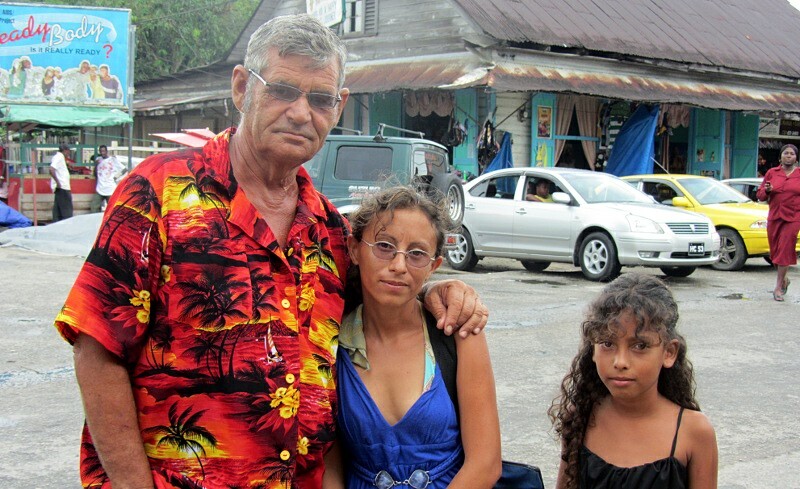 I have been in Guyana for a few weeks and share your feelings about the place. Your description of Bartika is brilliant – the brutal wild west character of the town needs to be experienced. Good luck with the marina!